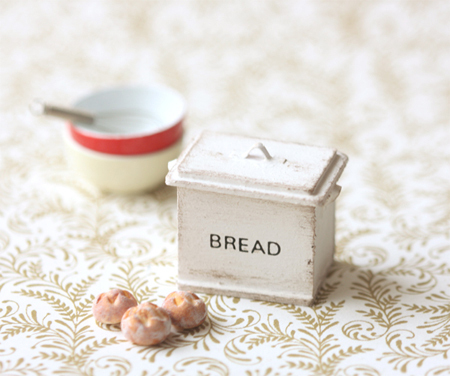 A dollhouse miniature shabby chic antique white bread box handcrafted by me, this is perfect for your dollhouse kitchen use. This listing is for the dollhouse miniature shabby chic antique white bread box only. Breads and other kitchen accessories are not included in the purchase.